Your credit card bills are just sitting there on the counter glaring at you. You’ve been ignoring them for several months now and your total debt just keeps growing like a weed. And you’d love to get rid of it just as you’d love to get rid of those weeds in your yard. You have all kinds of good intentions but like many Americans you just can’t seem to get a handle on your credit card debts. For that matter, American households are still carrying more than $5000 just in credit card debt. If you assume a credit card interest rate of 15% and if these people make just a minimum payment of $189 it would take more than 10 years to pay off that debt. And it would cost more than $18,000 just in interest charges, which is why a personal loan might be a better option. Many debt-strapped Americans have turned to personal loans as a way to consolidate their debts and reduce their interest costs. This could also be a good option for you – assuming you could qualify for one at a better interest rate than the ones you’re currently paying. For example, suppose you have five credit card debts at 18%, 17%, 16%, 19% and 21%. Add these up, divide the sum by five and your average credit card interest rate would be 18.2%. So, if you are able to get a personal loan at 8% or even 10% you’d have lower monthly payments, which should make it easier for you to repay those debts. Before you run off to your bank or credit union to apply for a personal loan it’s important to understand that there can be unintended consequences just as there can be with any good intentions. While paying off those credit card debts with a personal loan could be a good idea, you need to carefully consider the potential drawbacks before leaping into action. Following is a video with more information about the pros and cons of using a debt consolidation loan to pay off credit card debts. As you have seen from the example given above if your credit is in good enough standing that you could get a loan from a bank or credit union with a 4% to 10% interest rate than it would make sense to get one and pay off your credit card debts — assuming their interest rates average 15% or more. But if your credit isn’t so hot your only option might be to apply for an online loan where interest rates generally start at about 12% for people with good credit. A good rule of thumb is that if you could lower your average interest rate by at least two percentage points then getting a personal loan would be worth considering. Of course, it would not make any sense at all to replace one type of debt with one that has a higher cost, which could be the case if you have poor credit. 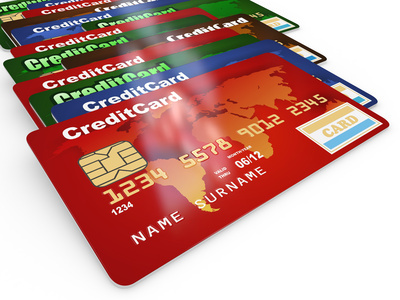 Have you run into a problem with debt because you have too many credit cards? This can easily happen especially if you get one of those 0% balance transfer cards that shift some of your debt from several cards to another. The problem with these cards is that if you don’t pay off your balance before the introductory period ends you could see your interest rate skyrocket to as high as 21%. It is unfortunately common for people that do this to end up with five, six or even more credit card balances. If this is what happened to you it could make sense to consolidate your debt payments into just one so that you’d have only one payment to keep track of each month. You could even automate that payment so that you’d never again have to worry about missing it. Of course, you can’t use that credit card to make any purchases or you’ll only be adding to the problem. One of the best things about debt consolidation loans is that, unlike credit card debts, they has a fixed end date that can go on practically forever. Most have terms of anywhere from 2 to 5 years giving you a target date to focus on so you’ll know exactly when you’ll be out of debt. This could give you a psychological boost for repaying that debt even faster. Plus, getting a personal loan will free you from the trap of making just minimum credit card payments each month, which can literally go on for years. There are reasons why sometimes it doesn’t make sense to get a personal loan to pay off your credit card debts. 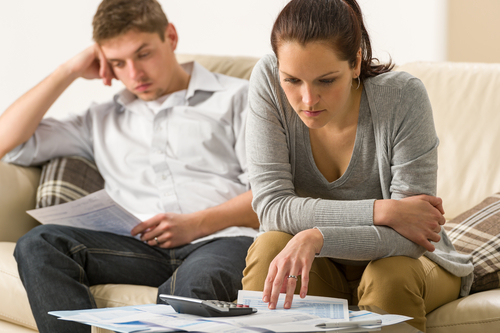 You need to seriously consider your situation before taking on debt to replace debt. If you’ve let your debt become unmanageable this is really just the symptom of a larger problem, which is driven by your behavior. If you can’t or won’t change your behavior you will most likely end up with an even bigger problem. Finances can only be managed effectively using a combination of patience and discipline – the patience to delay instant gratification and the discipline required to stick to a spending plan. If you cannot do these two things, a personal loan will be just a temporary fix that can lead to an even bigger problem going forward. A lower-cost personal loan can be a good way to manage a moderate amount of debt. However, if you have a huge amount of debt and have charged up your credit cards to the max then you won’t be able to solve the problem by simply shuffling the deck chairs. High credit card debt generally means a lower credit score, which will make it tough for you to get a personal loan with a good interest rate. If this is the case, you might be better off with consumer credit counseling, which is another way to consolidate your credit card debts and with better interest rates. It’s relatively easy to figure out if it would make sense to get a personal loan to pay off your credit card debt. It just gets down to a matter of behavior and math. If you do the math and find it makes sense, that is you could get a lower interest rate that would translate into a lower payment and interest costs over a period of time it could make sense. But the most important thing you need to consider is if you’d actually be willing and able to address the issues that led to your problems with debt. The net/net is that a personal loan can either be a final solution to your problems or just a stepping stone to a bigger one – if you’re unable to change your behavior. Q. Can I get a personal loan for debt consolidation without collateral? A. Personal loans never require collateral. They are called unsecured loans because you are not required to provide an asset to secure them as is the case with a secured loan such as an auto loan. However, it takes a reasonably good credit score to get a personal loan or personal line of credit. People with poor credit that own their homes may be able to do debt consolidation with a home equity loan or homeowner equity line of credit. Q. What is a debt consolidation loan vs. a line of credit? A. If you choose a debt consolidation loan you would get the proceeds from the loan all at once. In comparison, with a personal line of credit you would get a checkbook or the equivalent of a debit card and could then take its proceeds just when you needed money. As an example of this you might get a personal line of credit for $10,000, use $9000 of it to repay your credit card debts and then keep $1000 in reserve to cover an unexpected emergency. Q. How is a debt consolidation loan vs. debt settlement? A. A debt consolidation loan is just that a loan. Debt settlement is where you or a debt settlement firm negotiates with your lenders to get your debts reduced. In fact, of all the options available for debt consolidation debt settlement is the only way to pay off debts for less than their balances. Q. Can you get debt consolidation loans with bad credit? A. If you have bad credit and go first to your bank or credit union for a personal loan you’ll probably be disappointed. You either won’t be able to get a loan or it will come with a very high interest rate. If you have really bad credit your only option might be payday loans. These are available almost no matter how bad your credit might be. However, these loans can be a slippery slope into even more debt. Q. What are debt consolidation loans that are peer-to-peer? These loans are available only online and are called peer-to-peer because the money comes from an individual or group of individuals instead of a bank or some other organization. They generally come with much lower interest rates than those of banks or credit unions but you must have good credit to qualify for one.